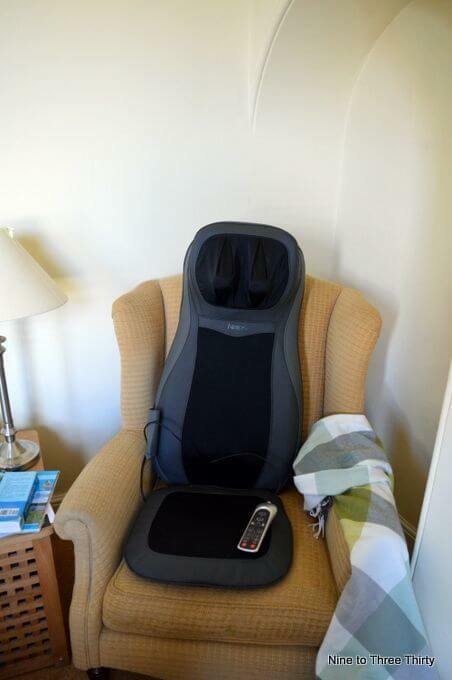 Over the last few weeks I’ve had my Naipo Back Massager Chair set up in various locations around the house. I’ve used it whilst watching TV and lots of visitors have tried it out when they have come to the house. I’ve also tried sitting in a favourite spot in my bedroom and that works well too, but I think in front of the TV is my favourite spot for it. I’ve previously reviewed a much smaller Naipo massager which I’ve found quite handy over recent months for dealing with tense shoulders. That’s very handy as I can pop it away in a cupboard when it’s not in use. My new chair massager is bigger and bulkier which is the main disadvantage. Finding a suitable place to store it which is close enough to make sure it gets used and also keeps the place looking tidy has been the main challenge, but I think I have sussed that now. Using a chair is better in many ways because you can target different areas at the same time and it’s easier than having to move a massager around to cover the whole of your back. 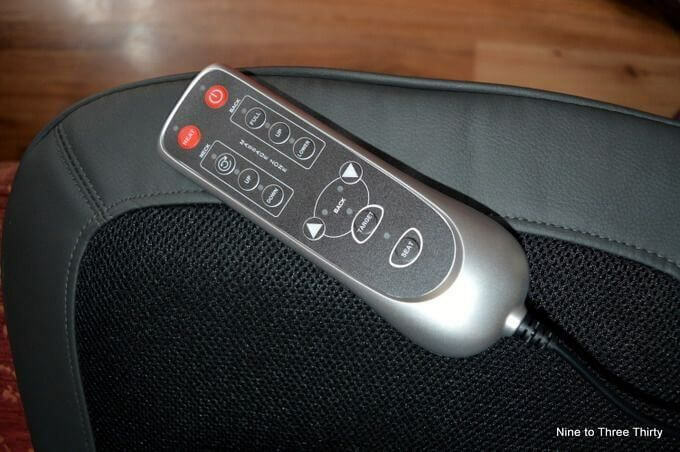 The Naipo chair massager has lots of features. There’s Shiatsu deep kneading where the rotating, kneading massage rollers imitate a real ‘human finger-like’ massage to relieve your fatigue and get rid of neck shoulder and back knots. There are 8 rolling massage nodes and they can be adjusted up and down. These are suitable for people between 1.6m and 1.8m height which includes most adults I’d say. With the cold days we have been having it’s been nice to have a massage in the evenings with a little heat. I find that heat helps loosen the muscles more effectively. The vibration massage is great when you are sitting on the seat as it helps treat your hips and thighs – there are 3 different levels to choose from. Being able to customise the experience is really useful as you can use that feature to tackle particular problem areas. You can choose your own massage settings and even pinpoint massage spots on your back. I generally use it for a massage session and it will turn itself off when it has completed the massage. You can either plug it into the mains or use the car adapter if you prefer to use it in the car (perfect on a long journey). Yes it’s really good Susan and just what I need after a hard day. I love the sound of this, especially that you can use it in the car! I love the idea of this and it’s something I have been wanting for a while! This is so cook. I own a Shiatsu Massage the one I use around my shoulder and back. The seat looks fantastic. does it not make you want to drift off to sleep if you are using it when driving? My shoulders and hips could benefit from this, physio told me my shoulders are all knotted, due to the nature of my job, and I find sitting causes hop pain…well I am approaching 60. Corr this is my type of massage chair! Be perfect for my back and I like the idea of using it in the car…. Bonus!